SHREVEPORT TIMES, La. 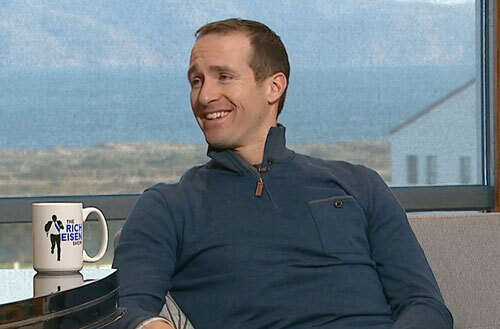 — Superbowl champion Saints quarterback, Drew Brees, has been selected to be the keynote speaker at the Northwest Louisiana Best of Preps banquet. The event will be held on May 16 beginning at 7.P.M. at the Shreveport Convention Center All-Area and All-City are being named in respective sports through May in The Times and will be listed here. Announced so far are volleyball and football honorees that can claim their free ticket to the Best of Preps banquet with Drew Brees. Tickets can be claimed at https://tickets.shreveporttimes.com. Drew Brees is the current quarterback for the New Orleans Saints. He played college football for Purdue University, and was chosen by the San Diego Chargers in the second round of the 2001 NFL Draft. Brees is a seven-time Pro Bowl selection, holds multiple NFL passing records, and led the Saints to a Super Bowl championship. The underdog Saints defeated the Indianapolis Colts 31–17 in Super Bowl XLIV on February 7, 2010. Brees tied a Super Bowl record with 32 pass completions and won the Super Bowl Most Valuable Player Award. He threw for 288 yards and 2 touchdowns. It was the first league championship in Saints franchise history. Brees was named the 2010 Sports Illustrated Sportsman of the Year, both for his winning the Super Bowl and his charitable work towards the reconstruction of New Orleans. On December 17, 2010, he was named AP Male Athlete of the Year. Sports Speakers 360 is a booking agent for pro athletes. If you would like to book Drew Brees for a speaking engagement, appearance or endorsement, contact a Drew Brees booking agent for fees at 1.855.303.5450.